Vermona's DRM1 MKIII: analogue drums are its thing. SampleRadar knows this all too well, which is why this week's collection is stuffed with clean and processed sounds that were created using a selection of vintage analogue drum and synth hardware. The analogue drum and bass samples are split into seven folders, each of which is labelled to indicate the type of sounds you'll find within it. 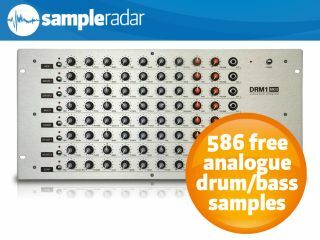 The analogue drum and bass samples are supplied in a zip file, so you'll need to extract them before you can see them. Enjoy!